On Friday we met the lovely Rufus and his owner at our Spitalfields stall where his owner treated him to one of our hand printed neckerchiefs. This is him wearing it – with the biggest grin I have seen on any dog! We told them about the Winter Weltaf walk at Wanstead Park today, and luckily they were able to make it! Check out the Weltaf website for details of future walks if you have a Welshie or are intested in finding out more about the breed in the fur! 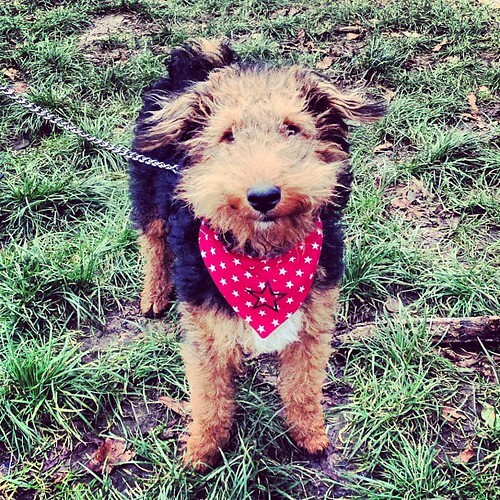 Rufus is such an adorable pup, his picture has attracted many admirers on Instagram! Glad you could make the walk, and a shame we didn’t find you all until the tea hut, but it looks like you made lots of friends and I think there will be more walks coming up – Epping Forest is on the cards, and once the Olympic Park is open we must go there – it’s really close to us and probably you too in Hackney.